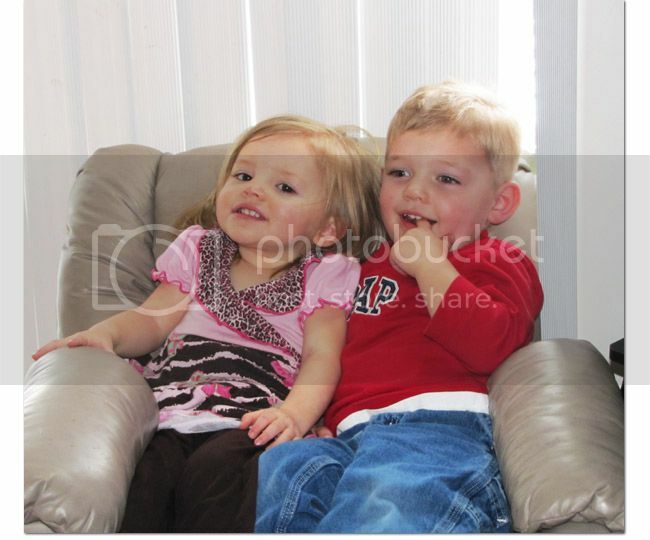 Ally is Bryson's half-sister (same birth father, different birth mothers). Isn't she a doll?? Ally's mom and I have become good friends through email and enjoy getting together occasionally to let Bryson and Ally play. Ally and Bryson have no clue they are half siblings but it's still fun to see them together and compare their similarities. 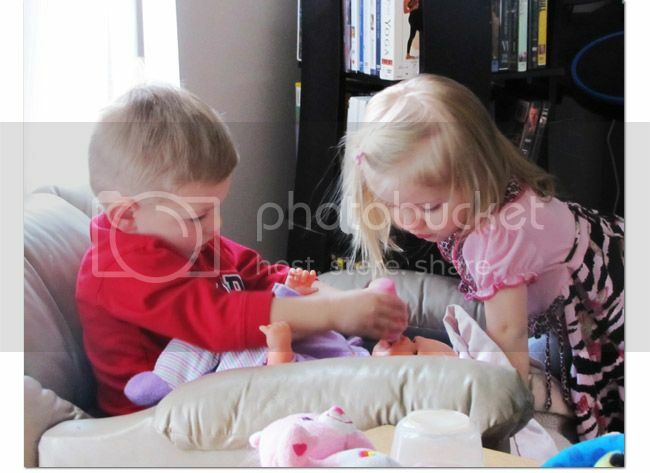 Since most of Ally's toys are girl toys, Bryson had the chance to play with dolls for the first time. He was so cute with them. He is going to make one awesome big brother some day. He tells us he wants a "baby sister." Speaking of babies, Mike and I FINALLY got our adoption papers yesterday. So now we start the arduous task of filling them out so we can get approved to adopt again! We'll keep you posted.